Unfortunately, WordPress doesn’t have this implemented by default, so you’ll have to use a plugin. There are some codes too, but since this plugin is simple and light, you’d be better off with it. You can either watch the video or read the tutorial. Download and install LH Agree to Terms. Here are 3 ways to install a plugin in WordPress. After you’ve installed and activated the plugin, go to Settings -> Agree to Terms. Add Terms to both forms. 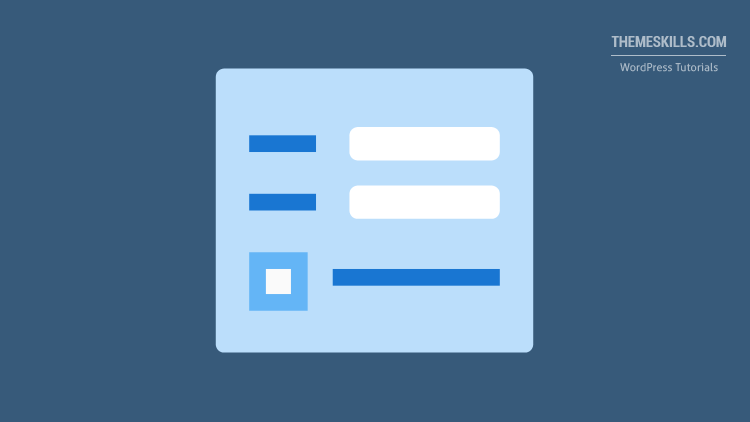 I’ll add the checkbox to the WordPress registration form for this example. What you’ll have to do is to select Yes from the Add Terms to registration drop-down menu and then click Save Changes. After you save, an editor and validation field will appear. 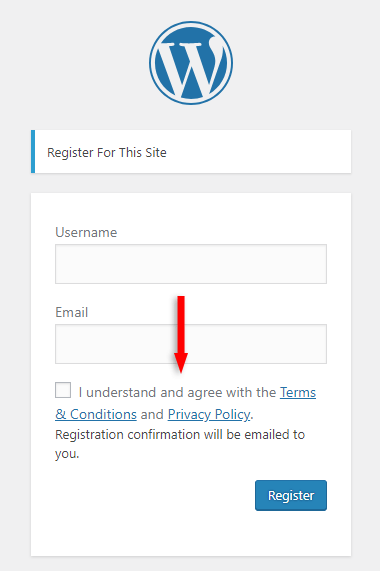 At the Registration Terms part, you’ll have to add the text that will appear next to the checkbox on the WordPress registration form. I’ve also added a Terms & Conditions link, so you can have 2 in 1. The Registration Validity Message is the message that will appear if the user doesn’t tick the checkbox. After you’ve finished, click Save Changes again. If you use and like the plugin, consider making a donation by clicking the Donate button found here, on the developer’s website. My WordPress website or blog installation service is at your disposal!